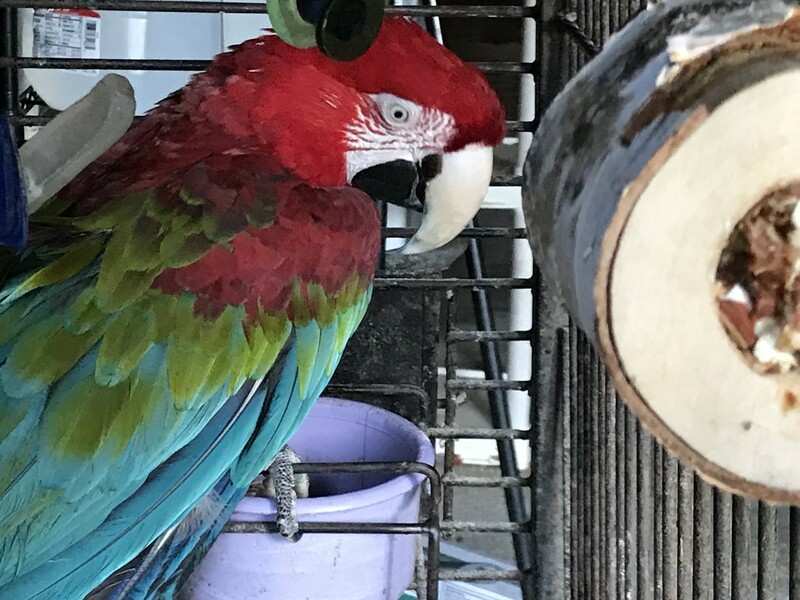 My red bird is Caesar a green winged macaw who was 18 when I adopted him in 1991 and is still going strong. Does he talk? He must be a wise old bird! @maggiemae he doesn’t have the clearest speech, I mean he tries but Hello and I love you are about it. He does have a crazy good imitation of the sound of our coffee pot brewing when he wants it to be morning. He’s smart and has some tricks like playing dead, but mostly he’s a cuddler.